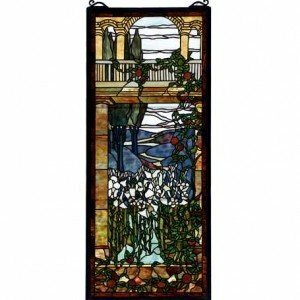 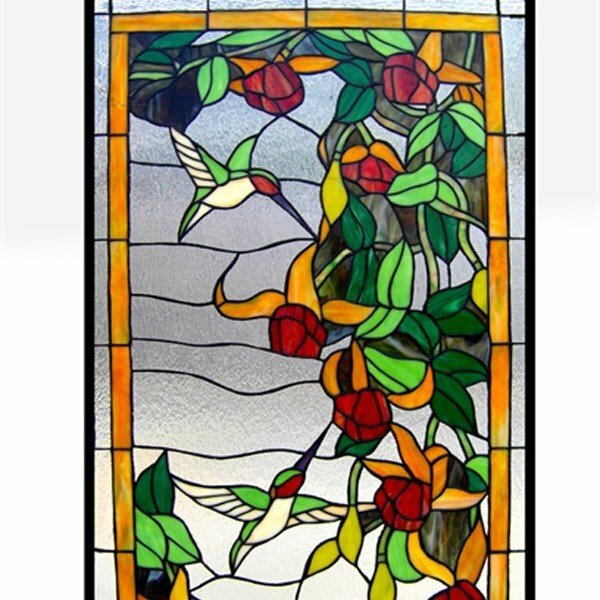 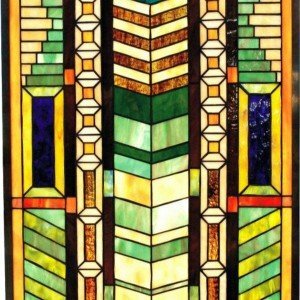 Bring a pleasant, peaceful scene of nature into your home with this stained glass panel. 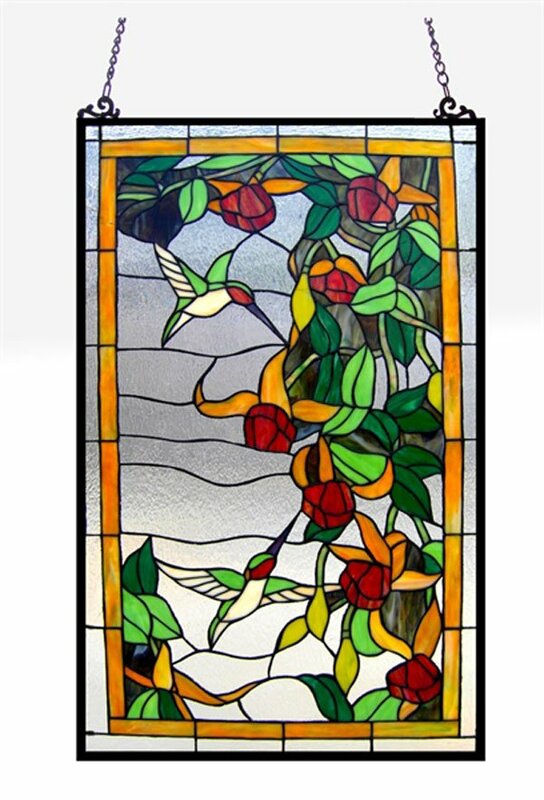 An astounding 333 pieces of handcrafted Tiffany glass have been used to create this gorgeous panel, which depicts a scene of ruby throated hummingbirds among flowers and plush greenery. 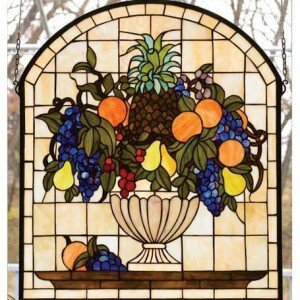 It’s a vibrant and colorful work that will be perfectly at home in your living room, adding a touch of color to a hallway, or even in your newborn’s bedroom. 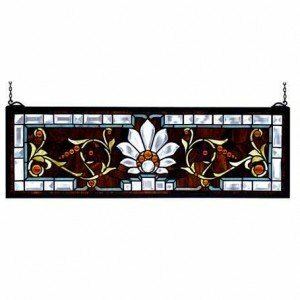 At 20” wide and 34”, it’s big enough to be noticed without dominating the space.